Dr. Tammy Wu had a discussion over lunch time with our Modesto plastic surgery staff about the Natrelle Style 410 Breast Implants sometimes known as the Gummy Bear Breast Implant. The topic of discussion was when is the Natrelle 410 Breast Implant an appropriate medical device for breast augmentation? The discussion first turned to when it is not an appropriate choice. May not be appropriate for a revision patient due to the possibility that the previous pocket size may be too big. 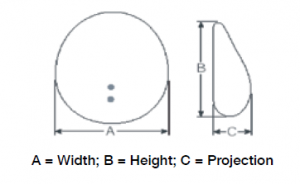 As with the above relative contraindication, this may not be the easiest thing to do due to the possibility that the previous breast implant pocket size may be too big and thus the Natrelle 410 shaped breast implants may rotate. For more information, consider seeing Dr. Tammy Wu for a Breast Augmentation Consultation. 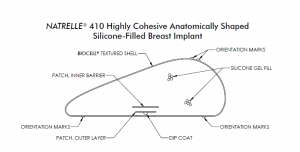 The 410 Natrelle implants, which are textured, shaped, highly cohesive silicone gel implants, made by Allergan, were recently approved by the FDA for use in breast augmentation as well as in breast reconstruction. Many people may wonder, wow, is this finally the right one for me? I want the latest and greatest and the best (and happens also to be the most expensive – costs about twice as much as the regular cohesive gel round silicone gel implants)! 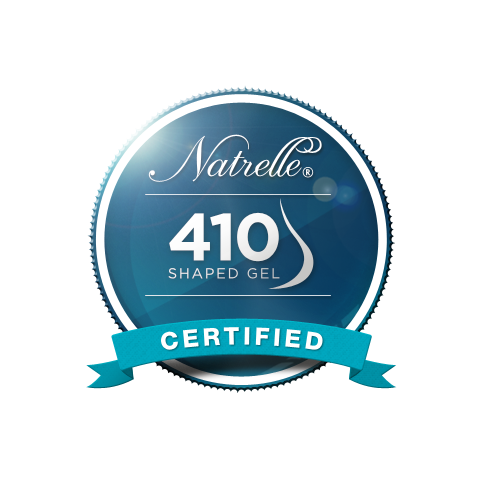 The 410 Natrelle Breast implant isn’t for everyone – in fact it isn’t for many of the cosmetic breast patients. It is more popular it seems in the reconstructive breast cancer surgery patients. After reviewing some literature on the 410 Natrelle implants, it appears that the implants were designed and manufactured with some specific indications in mind. 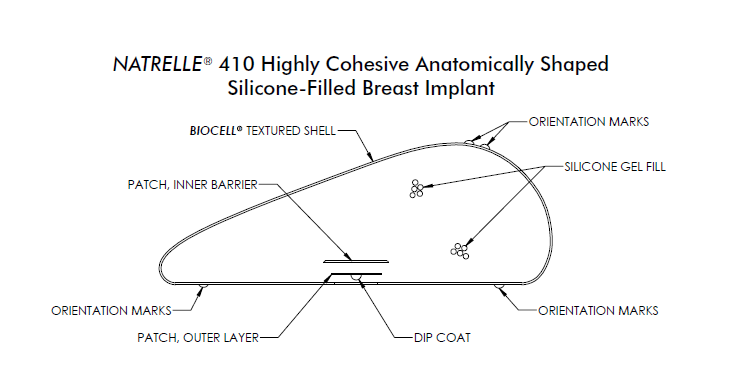 The 410 Natrelle implant is textured to prevent rotation. The round silicone gel implants, which were approved in November of 2006, have been very popular since its approval for usage in breast augmentation. 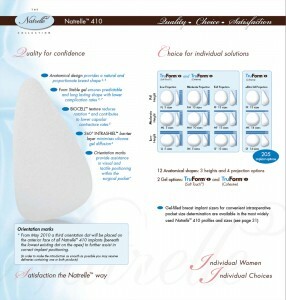 Above bullet list helps to decide who is possibly NOT appropriate for the Natrelle 410 shaped Gel Breast Implant. 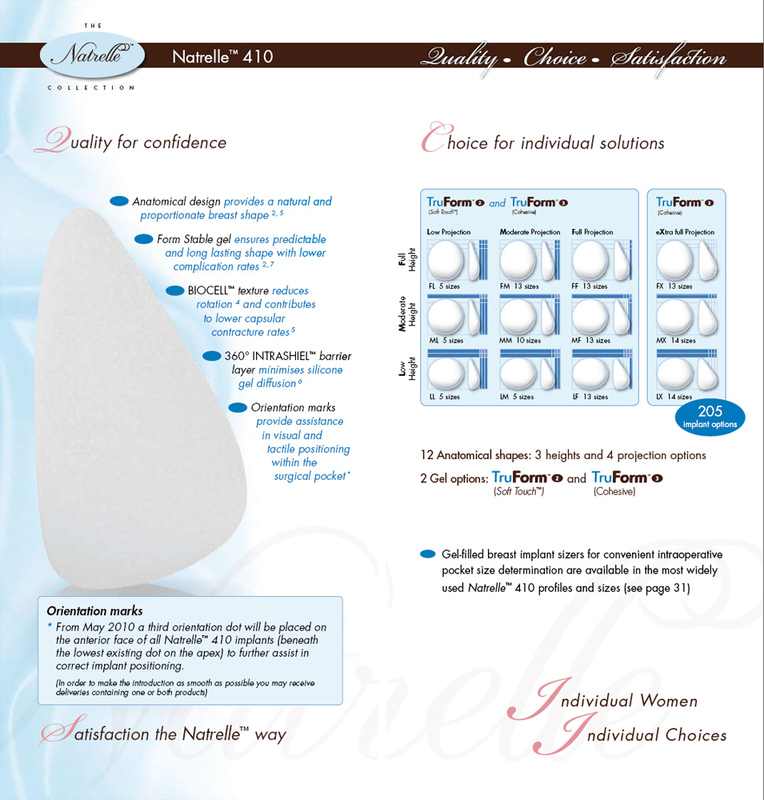 How does this Educational on Breast Implants (Natrelle 410) Help me? It helps me work better in our Surgical Artistry Modesto Plastic Surgery Office. The more I know, the more I understand what goes on around me. I also get questions during some of my Botox, Fillers, Veins, or Acupuncture sessions. To be clear, I (Dr. Calvin Lee) do not do breast augmentation surgeries – they are done by Board Certified Plastic Surgeon, Dr. Tammy Wu. This entry was posted in Cosmetic Surgery and tagged breast augmentation, gummy bear breast implants, Natrelle on May 1, 2013 by Calvin Lee, MD. Dr. Tammy Wu, Board Certified Plastic Surgeon, was the first Breast Augmentation Surgeon in the Central Valley to be certified to use the Natrelle 410 Breast Augmentation Implants. She told me that it really is no big deal to have been considered the first. She said that she was sitting at her computer when a regional-wide email was sent out to all the plastic surgeons in the area. She just happened to have opened up the email and clicked on the link for the certification on-line course. When she finished the course, she received a friendly email from the Breast Implant Representative from Allergan that she was the first person to successfully finish the online course and receive official certification to use the implant. This blog is written by Dr. Calvin Lee, MD. 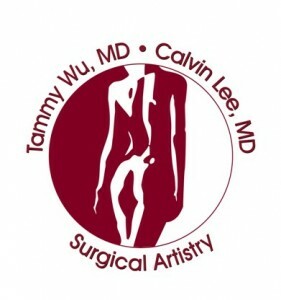 It is meant to be a self-educational note taking blog for Dr. Calvin Lee to help understand Dr. Tammy Wu’s plastic surgery practice. 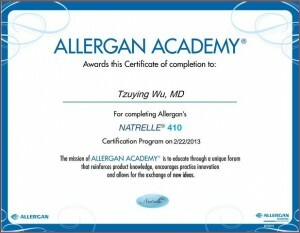 Dr. Wu’s Natrelle Certification from Allergan Academy. 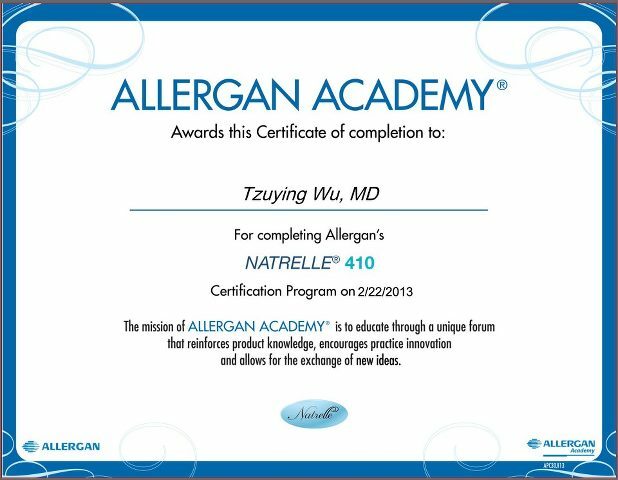 ALLERGAN ACADEMY’s mission is to educate through a unique forum which reinforces product knowledge, encourages practice innovation & allows for the exchange of ideas. will be either 3 or 4 orientation marks on the posterior surface of the implant. 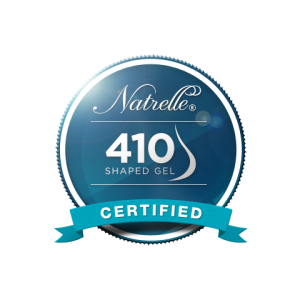 What is the Natrelle 410 Breast Implant? Made by Allergan (the makers of Botox, Juvederm, Latisse, Tazorac and much more). Natrelle has a landing page for these implants. It has a gradually tapered slope – thus called “shaped” rather than “round” implants. The highly cohesive nature of the gel holds together and no gel migration has been observed through 7 years in ruptured implants. According to their website, The Natrelle 410 breast implant has a 69% lower capsular contracture rate than Natrelle Round Silicone Filled Implants at 6 years. Allergan has a directions for use webpage for surgeons on this implant. Indicated for women age 22 years or older. Breast Enlargement options for cosmetic breast surgery. Breast Surgery Consultation with Dr. Tammy Wu – includes lift and other enhancement options. This entry was posted in Cosmetic Surgery and tagged allergan, breast, breast augmentation, gummy bear breast implants, Modesto, Natrelle on April 26, 2013 by Calvin Lee, MD.